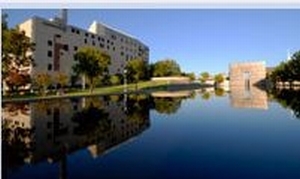 1) Oklahoma City National Memorial: I decided to make a stop in Oak City to see this site. I did not expect much but found it a wonderful and deeply moving. The reflecting pool down once what was a street; the chairs,visual reminders of those–adult and children–who lost their lives; the scarred buildings showing signs of the blast; and the Survivor Tree, a giant Elm that withstood the attack, help make up the memorial. 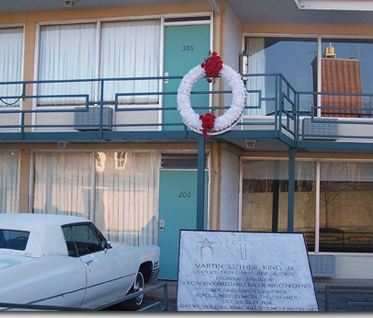 2) National Civil Rights Museum: Although the museum near downtown Memphis was closed by the time we arrived in early evening, the time of day made the site of shooting of Martin Luther King all that more moving. I never realized how close the rooming house where James Earl Ray was staying. I need to go back and visit the museum. 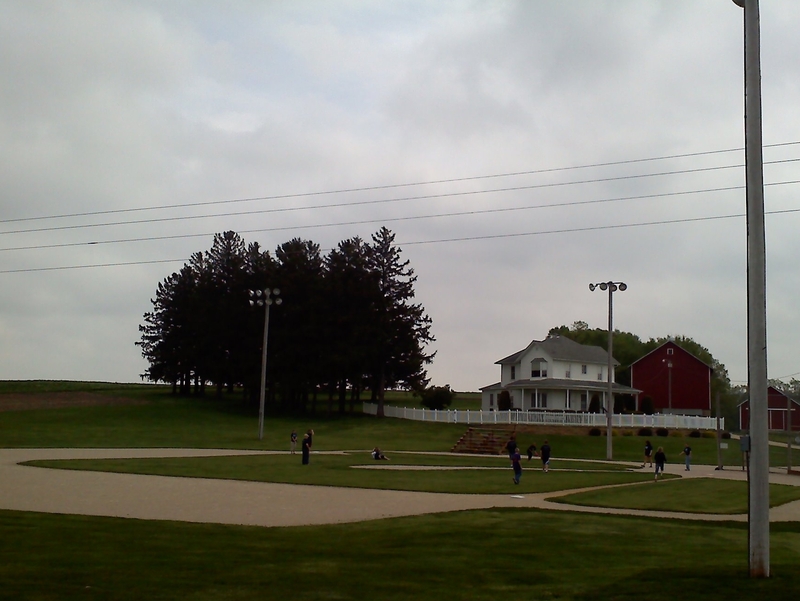 3) Field of Dreams movie site: I was driving through Iowa down Route 20 in my way to Galena, Illinois when I saw a sign near Dyersville, stating that the site of the 1989 movie was only three miles away. I had to go. I’ve always loved the movie, not as a baseball movie but because of the relationship aspect (even though I had a good relationship with my dad). It’s the only sports movie I believe men can get teary-eyed at, although outright crying is prohibited. Anyway, I got to stand on the field and sit in the bleachers. The site still attracts some 50,000 people a year a woman at the souvenir state said when asked, most of whom come in mid-summer when the corn is high. Sadly there wasn’t any corn when I was there in early May. Even sadder was the fact a school was playing KICKBALL on that sacred field. 4) Custer State Park: Located in the Black Hills of South Dakota, this huge (71,000 acre) park has much to offer including a free-ranging herd of bison, wonderful scenery and great drives. I spent only a few hours there, some of it surrounded by bison. 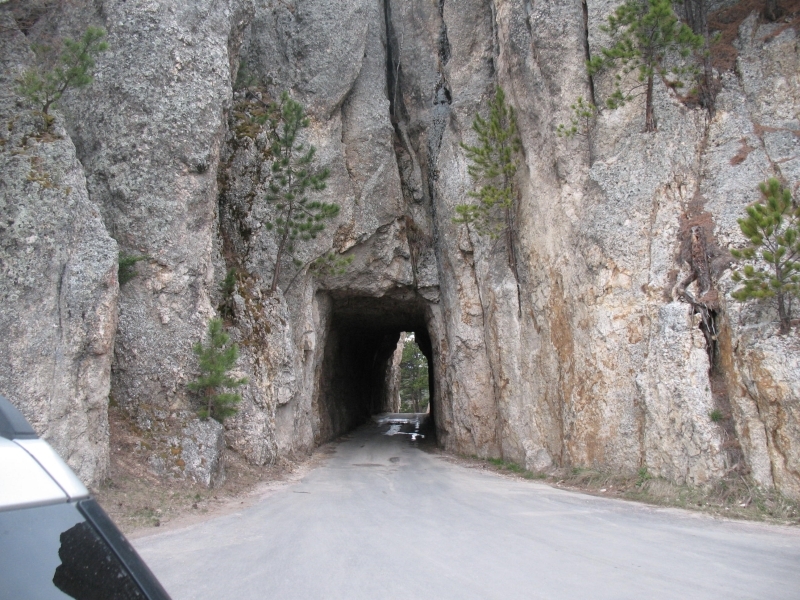 One of the drives I made had a series of narrow tunnels carved through the granite. The drive might be a nightmare in mid-summer when tourists pack the roads but it was clear sailing in May when I was there. 5) Hot Springs National Park: I had heard about this park and city but it meant little to me. However, I was passing near the city so decided to stop in. What a fascinating place. Small city with huge hotels and spectacular bathhouses. 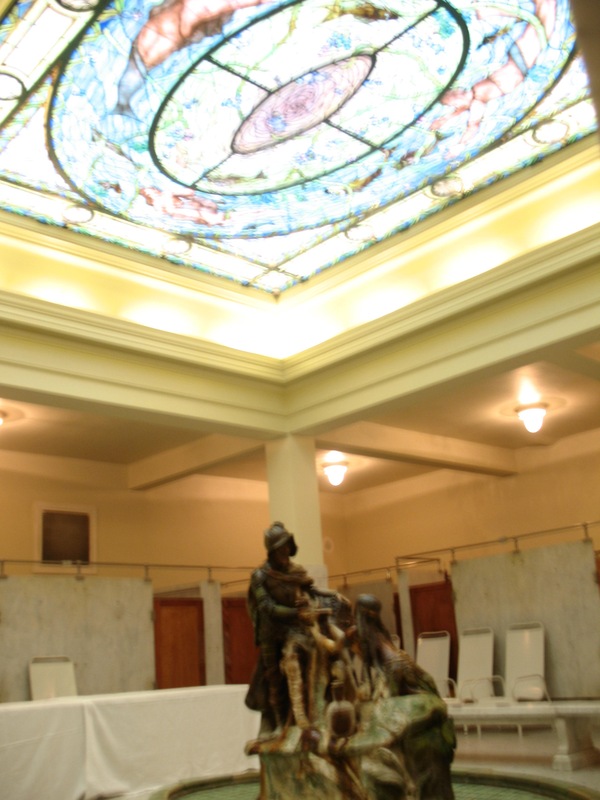 I didn’t know much about the history of the bathhouses or just how popular (and important) these hot baths were and the number of visitors who would come to take in the waters. Now,tourists can still take a bath, enjoy the amazing architecture, shops or walk the streets popping in and out of old bathhouses. 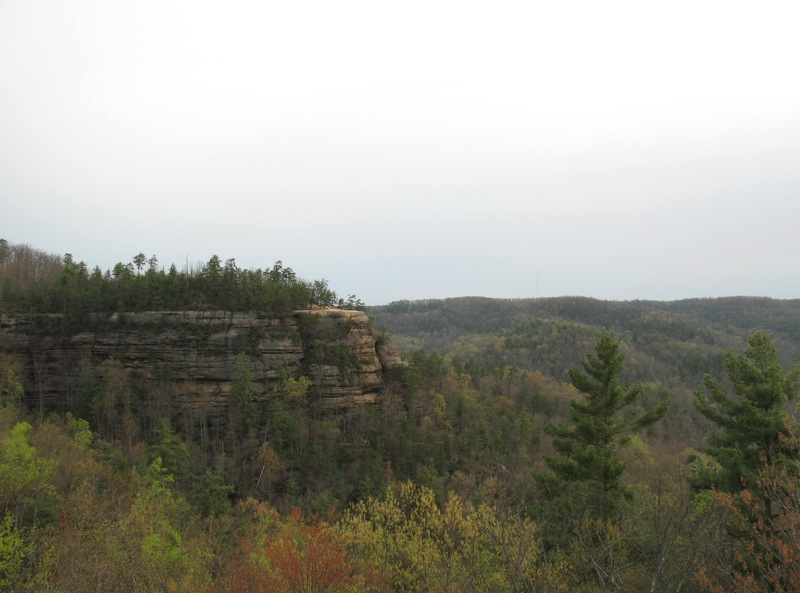 6) Red River Gorge Scenic Byway: This is a 42-mile drive in eastern Kentucky down narrow winding roads. You really need to two people on this trip: One to drive and one to enjoy the scenery. Luckily, there were few people the weekday morning I made this drive after spending the night in Natural Bridge State Park (another keeper). The scenery in the Red River Gorge is gorgeous with numerous stone arches, sandstone cliffs, ravines and unusual geological formations. There are large number of “pull-offs and hiking trails. The above all come highly recommended. Sadly, although I did allow myself time to see the site, both planned and unplanned, I did not always allow enough time. In many spots, I could have spent a week. I guess that just means I’ll have to return. Someday, once I get a job and money.